A baluster � also called spindle or stair stick � is defined as; a moulded shaft, square or of lathe-turned, made of stone or wood standing on a common footing or rail, and supporting a coping or handrails. A balustrade is the combination of baluster, handrails and bottom rail. Balustrades and handrails are most commonly used to enclose verandahs, stairs, pools, pergolas and other structures. Handrails can be added to the top of balustrades or mounted directly on a wall. Balustrades and handrails can be made from primed treated pine, stainless wire, hardwoods and many other materials, (see our timber information sheet for more details). Custom timber handrails and balustrades can be manufactured to match the existing features in your home or constructed from your plans. Feature fences often combine balustrades with masonry piers, timber posts, or a mixture of both. Balustrades and handrails also often feature a pattern or motif (decorative design). Motif's available include classical, federation, heritage or victorian designs. Motif's can also be added to custom timber gates. 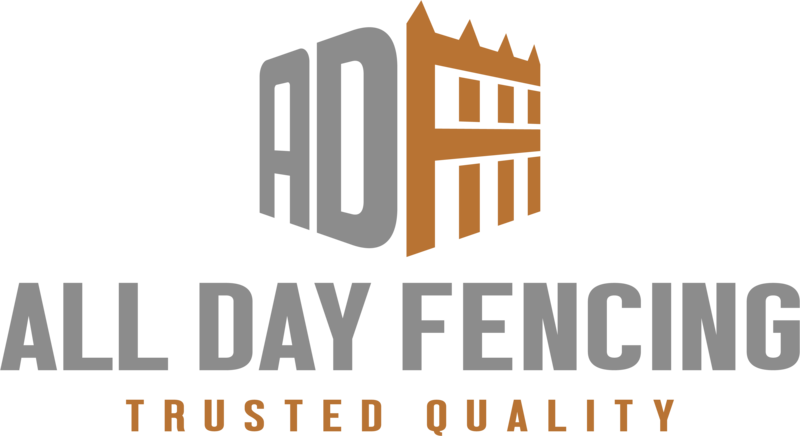 All Day Fencers manufacture a range of custom timber gates in contemporary and period designs. All gates are custom made to the size required at no extra cost. Our custom timber gates are made from 'Design Pine' which is primed and treated and offers a 25 year warranty against decay, rot or insect attack! All gates can be mounted in either a swing or sliding configuration. We also supply gates direct to most states and regional areas, (except WA). Feature fencing can be combined with our range of entrance pergolas to add privacy, security and style. Entrance pergolas can be made to any size and can be fitted to timber, steel and masonry fencing. View our section on Entrance Pergolas for more informstion about combining a pergola to your feature fencing.